Darlinghurst is an eastern suburb of Sydney and features some of the best restaurants and nightlife offers you can get when traversing Australia’s cultural capital. Oxford Street features numerous restaurants and bars, and boasts the incredible Oxford Art Factory – a revamped music venue & night club featuring some of the best international and national acts. Oxford Art isn’t only for music; it also hosts art exhibitions of a wide variety. Certainly Oxford Street is a great place if you’re seeking out some great food and wine. There’s plenty to choose from, ranging from Italian, Japanese, Thai, Mexican, Indian and many others. The world renowned Sydney Gay and Lesbian Mardi Gras finishes upon the streets of Oxford Street, creating a street party that can go for weeks. During this time Oxford Street is closed. There’s plenty to see and do in Darlinghurst, and it makes an excellent base for exploring the greater parts of Sydney. We’ve got some great Darlinghurst accommodation deals. 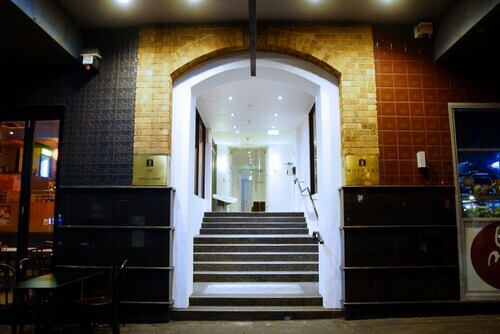 If you’re looking for Darlinghurst Hotels, then look no further, we have lots of places available for you to choose from. How Much is a Hotel Room in Darlinghurst? 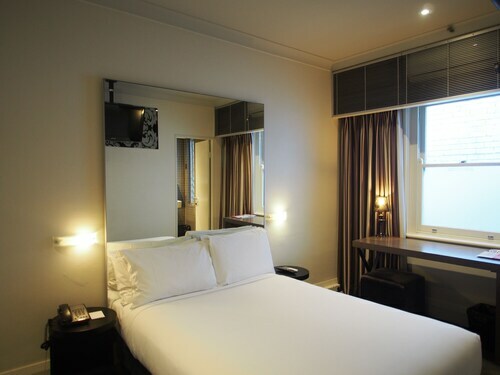 Hotels in Darlinghurst start at AU$94 per night. Prices and availability subject to change. Additional terms may apply. Most of it was good but pillows were not. We needed two pillows to act as one as they were quite flat. My one night stay was in a room best described as functional, fairly well maintained albeit with obvious band-aid solutions to maintenance issues, the bare minimum of facilities, maybe a bit of old-fashioned charm if your taste runs to Darcy Niland novels. For the price it's good value, its position on Oxford St is great if you like a bit of streetlife, and the people are very nice. Fantastic rooms , great price, friendly welcome from front desk.